One of the best ways to improve your essay writing is to be well prepared. Effective research lays the foundation for a great essay as it informs everything you write and leads to stronger arguments. The more effort you put in at the research stage, the easier your essay will be to write and the better it will be. Here is some guidance on how to approach your research to take your essays to the next level. Choosing the right sources for your research can be difficult. Several options are available to you, including: websites, books and journal articles. Avoid relying solely on your lecture notes however as, whilst they provide a good starting point, examiners want to see that you have demonstrated strong research skills from diverse sources. Many researchers are rightly suspicious of web-based sources as they could be written by anyone! But not all are created equal and websites can be used to great effect. They can provide the most up-to-date information on current topics and may contain, for example, government reports, maps and statistics. But be sure to carefully scrutinise them. Consider the credibility of the source, any potential biases and whether the information is verifiable. Books can be immensely useful sources of background information as well as expert views on topics and issues. But be wary. Books are not subject to the same peer-review processes as journal articles and the information may be inaccurate or outdated. Depending on your subject you may want to use them sparingly to maximise the accuracy of your claims, particularly in scientific disciplines. Articles from established scholarly journals are generally the preferred source of reliable information and are especially useful when original research is needed. A key advantage of such articles is the inclusion of comprehensive bibliographies, which allow you to quickly trace primary sources, contradictory results and other relevant research. The importance of understanding the essay question cannot be understated. By failing this you risk taking your research astray and missing the point of the essay — relevance is key. It can be tempting when delving into a research rabbit-hole to get carried away and try to cover everything you come across. Many students fall into the trap of thinking that quantity is everything, but including too much often does little more than muddy your argument. Knowing what, and what not, to focus on is key as you want to avoid spreading yourself too thin. When investigating a subject, remember that you are not expected to know everything, nor could you. The best way to avoid burdening your essay with irrelevant information is to keep the essay question in mind from the outset and target your research accordingly. Ask yourself, “is this relevant to my argument?”. Do you have a good grasp on the topic you are researching? Many students make the mistake of diving straight into complex studies without first understanding the basics. Sufficient background knowledge is essential to be able to approach sources critically and question any claims you encounter. It may be worth reading a topic introduction in a book before delving in to bleeding-edge research papers, for instance. Once you feel you that have gained a solid foundation, remember that it is good academic practice to provide a balanced argument to any position highlighted in your essay. That means researching different perspectives on your chosen topic and scrutinising the evidence behind them to develop your own informed opinion. This ensures that you don’t rely too heavily on one, potentially flawed, position and address any potential objections the reader may have. Get into the habit of searching for several papers covering similar topics and consider how they are connected. This will help you synthesise information, elevate your research skills and formulate more convincing arguments. 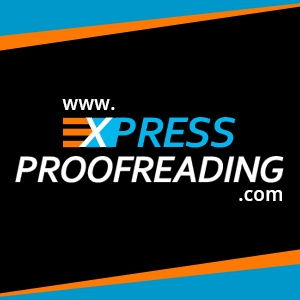 At Express Proofreading we offer a professional academic proofreading service. We are able to ensure that your work is not only free from spelling mistakes and grammatical errors but we also check syntax, sentence structure and are able to recommend improvements and suggestions that may be relevant to your work. We will also check that your tables and footnotes are accurate and consistent with your bibliography. To obtain an instant quote for us to proofread your work, visit the Instant Quote page, select the service and timeframe you require and then upload your document. Once you are happy with your quote, you can then proceed to our secure checkout page.